To find county telephone numbers for reporting suspected elder mistreatment occurring in the home, visit the Adult Protective Services County Agencies listing online. To report suspected elder mistreatment in long-term care facilities, telephone 1-800-231-4024. 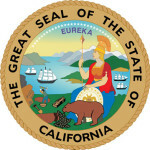 California elder abuse statistics and/or other publications are Available Here.